It’s been ages since I’ve finished any sewing projects – mostly because of school, but also because my sewing machine was running a bit rough. 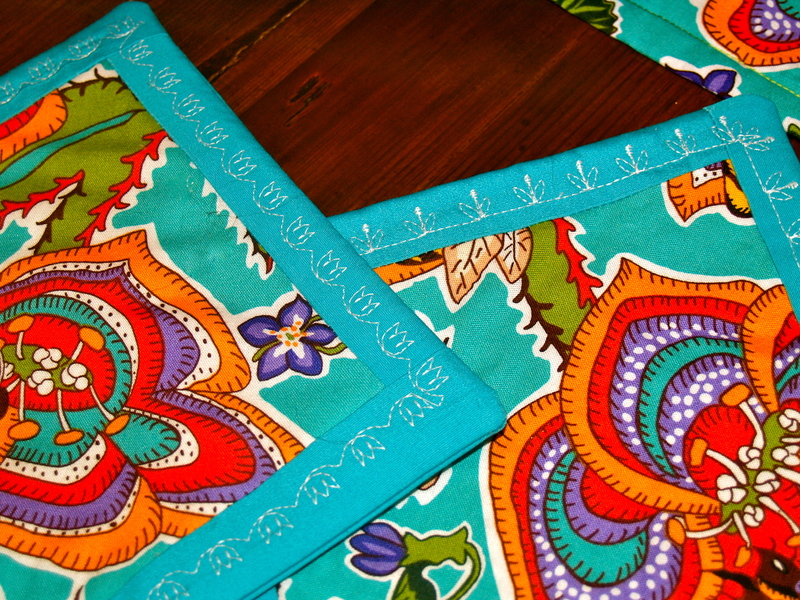 Now that school is almost done for the semester, and I had my sewing machine tuned up last week – I have no excuse! 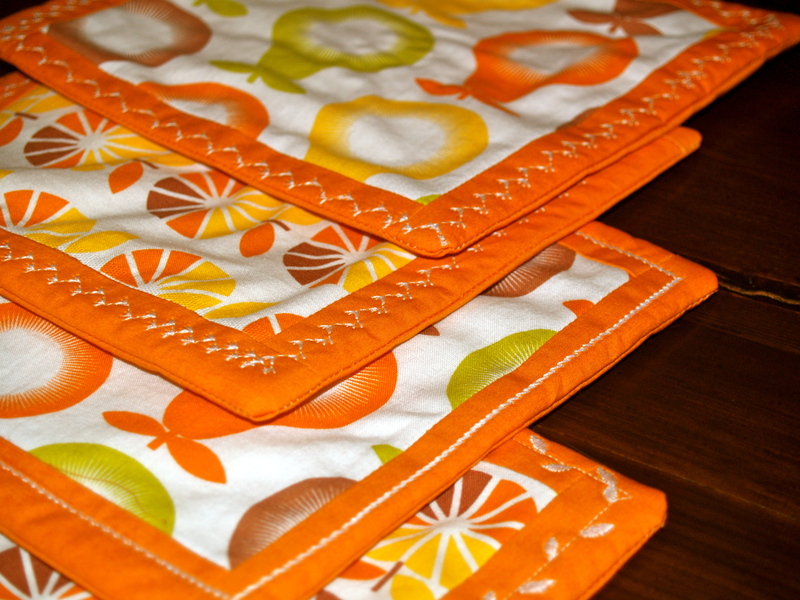 Starting out simply, I recycled some towels that were on the way to nowheresville and used them to back up some bright quilting fabric to make ultra-absorbent dishtowels. And then I added a few straightforward potholders to the mix and voila! 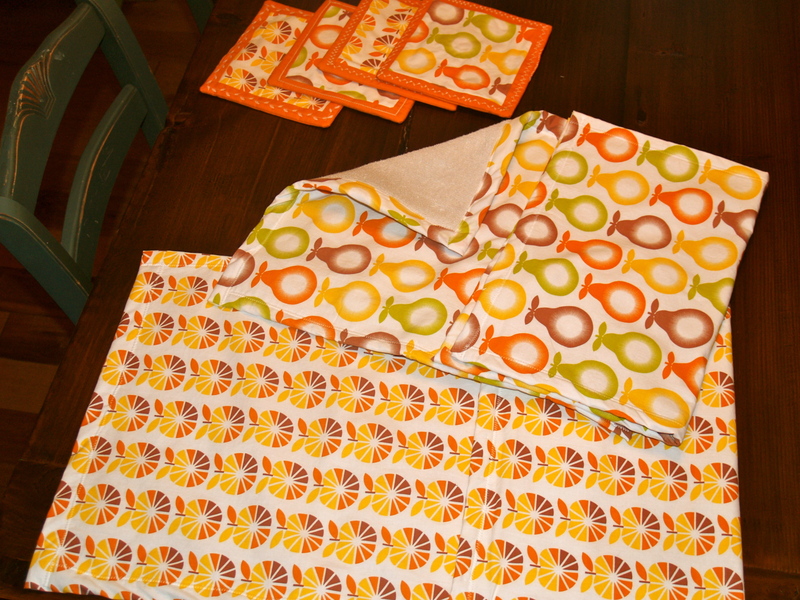 New spring linens for the kitchen with a minimum of work and money. 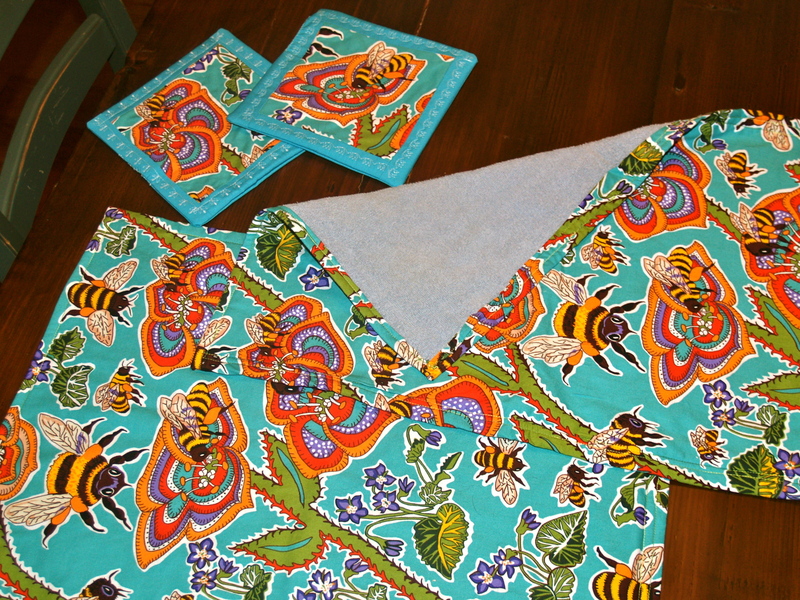 This is some slap-dash sewing, but so satisfying to get a project knocked off in under two hours!